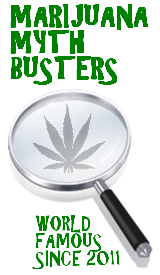 Marijuana Mythbusters » What is the best way to smoke marijuana? « What to do with kief! This entry was posted by Mythbuster on April 18, 2011 at 11:11 pm, and is filed under Pot Polls. Follow any responses to this post through RSS 2.0.You can leave a response or trackback from your own site. If the stems of your plant turn purple it is a sign of stress. Any type of stress, such as a nutrient deficiency, temperature fluctuations, overwatering, anything like that is a stress to your plant. Even when creating the desired effect of getting the buds to turn purple, you stress your plant by making the temperatures in the room much colder at night. During flowering the growth is focused in the buds, and that is why the buds turn purple. In case anyone was wondering whoever amongst you voted other said that the best way to smoke weed was out of a gravity bong. I’m still learning from you, while I’m trying to reach my goals. I verily love reading all that is written on your blog. Keep the stories coming. I loved it!